SEATTLE — It's been called the biggest snowstorm in over 70 years. 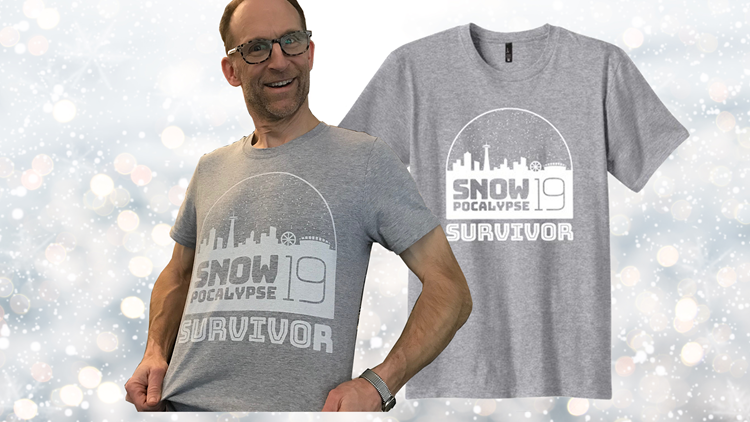 Nothing says "I survived the 2019 Snowpocalypse" like showing off with this free* T-shirt from Simply Seattle, the purveyor of Pacific Northwest pop culture fashion. *It's mostly free - you pay the $5.99 shipping cost for the shirt + sales tax.